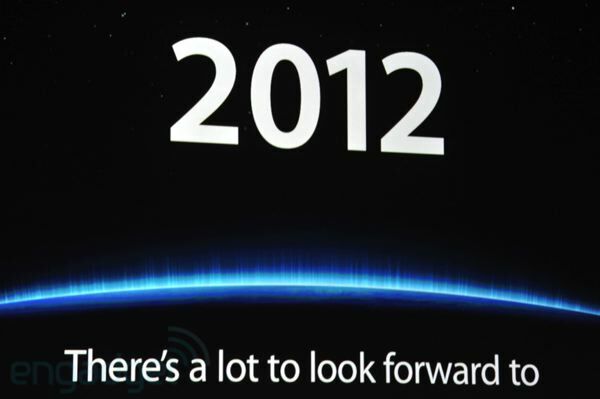 The iPad 3 was announced this morning! Several new features were announced. The majority of the new features were hardware-based and not software. The biggest and most rumored feature was the famed Retina display. The new iPad (there is no actual name) now features a higher than HD screen. 2048 x 1536, to be exact. It has 3.1 million pixels. "The most ever in a mobile device." Phil Schiller says, "This presents a problem for us in presenting it to you. For the first time, an iPad has a higher resolution than the entire display behind you...that's a fun challenge." That is crazy! The new iPad also has a dual core A5X processor with quad core graphics. I saw a demo of the new iPad on TWiT. It looks great and seems very fast! The next big feature was an upgrade to the camera on the iPad. The rear facing camera is 5 megapixels, enough to shoot full 1080p video. The camera is the same setup as the iPhone 4S. It features a 5 element lens, a hybrid IR filter, and video stabilization. 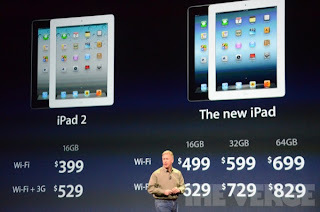 Apple also released the iPad on 4G LTE. Unfortunately, there are two different versions of the iPad, one for Verizon and one for AT&T. However, there will still be 3G support, so when you are roaming, you can use 3G networks. Apple also announced that you can create a personal hotspot with your iPad, but only if your carrier supports it. Not only can you get the new iPad for the same price as the iPad 2, Apple is still keeping the iPad 2 around, for a $100 discount. Apple pushed the iPad in the iBooks Author announcement as a textbook replacement. Now, "So many more schools can afford this." with the iPad 2 price drop. The new iPad is available for pre-order today, and will be available in the United States and several other countries on March 16th. This was an interesting announcement. We did also see a new Apple TV, but it wasn't the full TV set that Apple has been rumored to have been working on. The new Apple TV has 1080p support, still maintains the same form factor, and still costs $99. 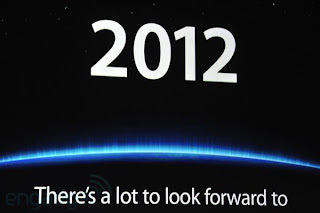 Many of the rumors came true, but some rumors, such as an A6 processor, or iOS 6, are still in the future.